Or SUNE to the rescue! 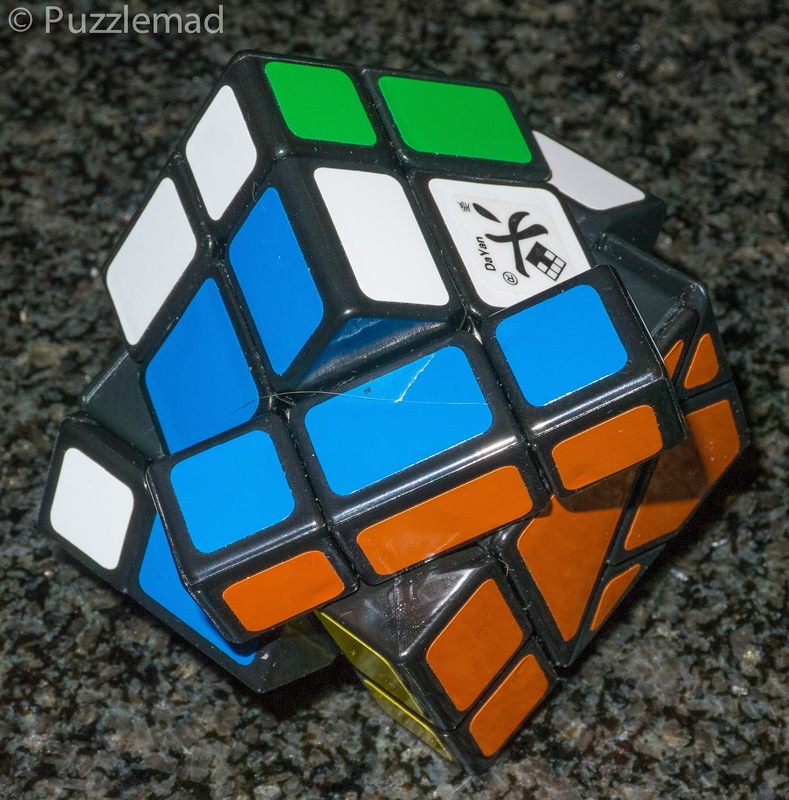 Back in April last year I wrote about a little trip to Bermuda where I began puzzling with a variant of the Megaminx (a dodecahedron shaped twisty puzzle) and actually had some luck solving at least the first few. 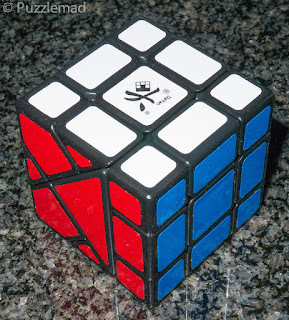 This was a desperate attempt to prove to myself that I wasn't as stupid as I felt because I had owned a Bermuda cube (Mars variant) for over a year at the time and had singularly failed to solve it. In the end it turned out that having the freedom provided by 12 faces makes the Bermudaminxes much more of a planning challenge and less of an algorithm restriction challenge. 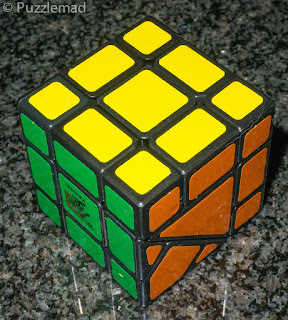 At the time I went back to the Bermuda cube that I owned and tried again and again to complete that last face to no avail. "Self, this should be quite easy! Maybe the guys were right?" Aaaargh! What have I done? So what did I do? Apart from feeling rather overwhelmed and a little sick (virus and puzzle induced), I began to formulate a plan. I knew that the hypotenuse of the red and orange triangles would need to be built first as those sides cannot participate in any real algorithms at all. This was just a matter of working out which pieces align and building up the trio using the other sides of the triangle. After that I had red and orange hypotenuses covered and the freedom to now use cube techniques to work on the rest. 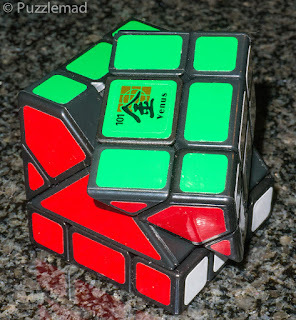 Many of these techniques require a huge amount of freedom to move any sides you want in sequence and this becomes a big problem with the Bermuda cubes because the triangles block things. 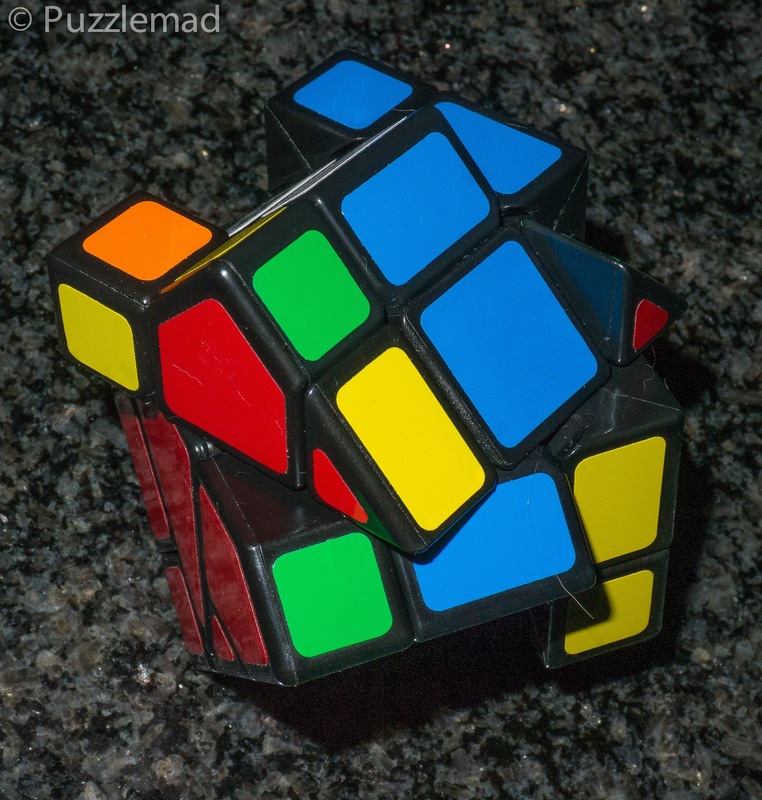 In the end I used a combination of the Ultimate solution and the Beginner's method. Starting with the edges, these are easily positioned using the edge piece series (up, up, down, down) and at that point all the edges are placed and you are left with 6 corners to position and orient. This is very similar to what I had with Mars and I began to quake. Luckily there are lots and lots of ways to position corners. The easiest for me was to continue with the Ultimate solution and use the corner piece series without bothering about orientation. Some corners just happened to be correct which was lucky and finally I had a cube with a number of that last 6 corners in place but needing rotation....and there is where it gets tough! If you look carefully everything is placed except 3 corners. Easy to position them but then.....? I spent a week with virus induced delirium being unable to work out what to do. 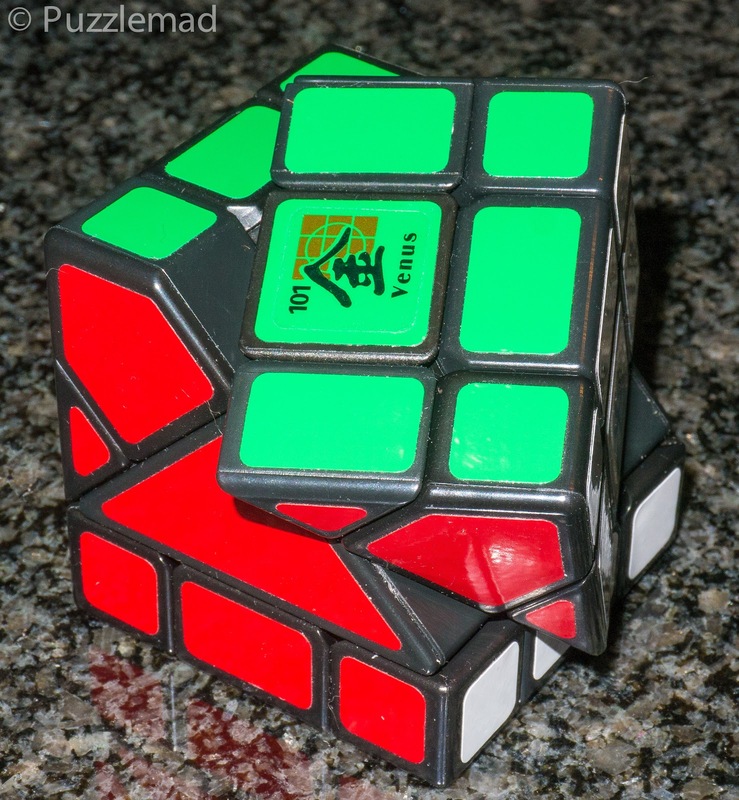 The corner piece series can be used to orient corners at the same time as they are positioned as done when using the Ultimate solution BUT that is not possible with this puzzle because the setups required won't work! Then there is the rotation of 2 corners in opposite directions as used in the single algorithm method which, you guessed it, also isn't possible because of those damned triangles! I wracked my teeny little brain. What about the beginners method? Nope! The final algorithm to rotate corners won't work either. Aaargh! I then recalled my SUNE and AntiSUNE and had a forehead slapping moment! Ouch right on Mrs Sadler's burn scar! What is SUNE? It is a simple algorithm used in beginners method to perform a 3 cycle of top edges and at the same time rotate 3 top corners clockwise - the important feature of it is that it is that it requires movement of ONLY 2 adjacent faces. Now if one performs a SUNE and immediately it's mirror then that rotates the top left front and back corners in opposite directions. Surely it is possible to use this? YESSSSSS it is - after a week of trying, I had it! 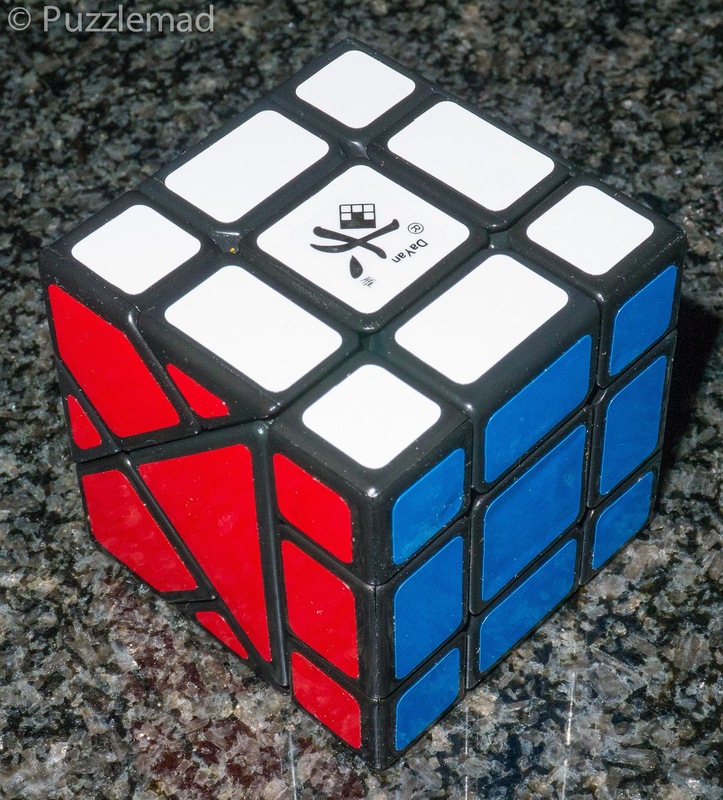 I had finally solved one of the Bermuda cubes! Sometime soon I plan to screw my courage to the sticking place and try Mars again. 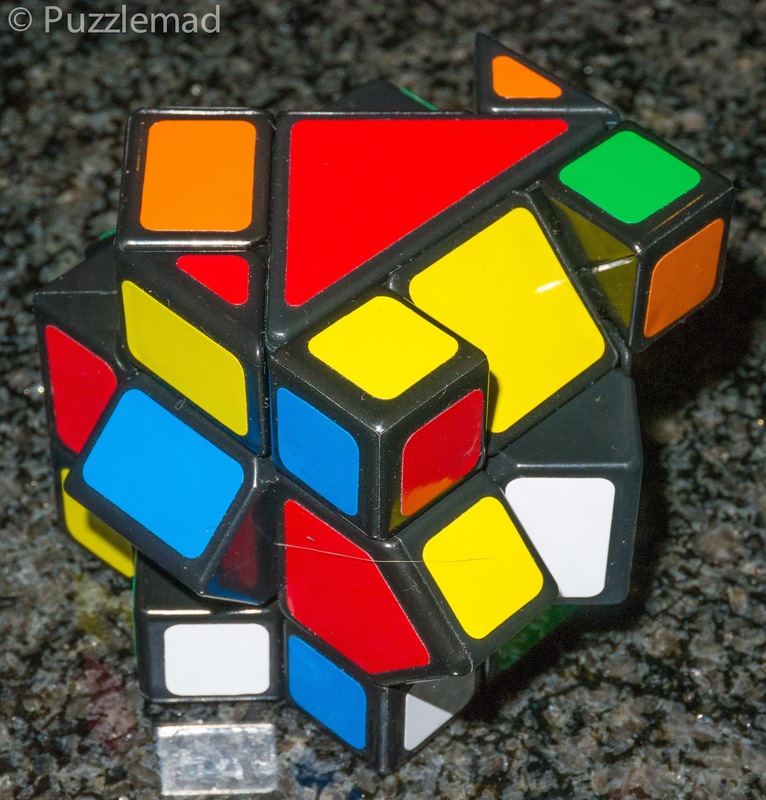 It is of great interest that the solving challenges provided by the Bermuda megaminxes are very different to the challenges provided by the Bermuda cubes and I would actually suggest that you should collect both sets! Unfortunately this is going to cost me dearly! Marty will be getting another message from me for more of them! Whack! Ouch! Sorry dear but I can't help myself! Well done Kevin, I knew that this one was well within your grasp and Mars will be too now I think. For me, Earth was a real tough one to crack and I'm still stuck on Saturn and Uranus; I really need to drag them out again and have a rethink of final corner orientation. Get the whole set Kevin and then you can give me a hand :0) !! Thanks Paul! I do plan on getting the rest of them in batches. I will need advice on which to get first. As for helping you solve them? I'll be happy to try but I think it will be you helping me! Shane's Viper Bit Me and my Balls are Too Big!!! Turning Madness - Probably the Best Ever!